Roll the dice but don't lose your mice! 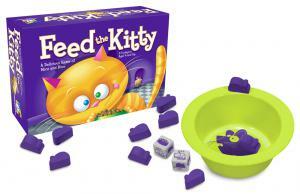 In this fast moving game, try to keep your mice away from the kitty. Roll an arrow and pass one to the left. Roll a sleeping cat and you're lucky to squeak by. But roll a bowl and it's dinner time for kitty! The last player left with mice wins. 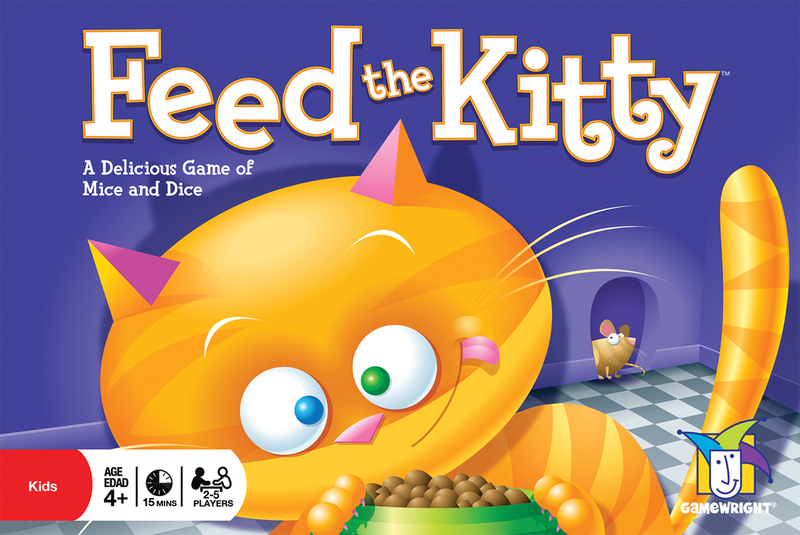 Feed the Kitty is as simple as a cat's life. Mice are on the menu, and as they move from place to place, it's anyone's guess who will end up hungry and who will get to have a full belly. Will you be caught catnapping or will you pounce into the lead? The answer is all in the roll of the dice!